Join Nicola Oddy for ‘Let’s Sing!’ the vocal stream of this new three-day Adult Music Camp on the beautiful Blue Skies site in Clarendon Ontario. ‘Let’s Sing!’ is appropriate for singers of all levels­ from those who simply want to feel confident enough to join a choir, to those who are experienced choristers and looking for a fun and relaxed way to spend three summer days in song. You will learn about vocal production (breath, projection, tuning, confidence, blending, phrasing, musicality), how to harmonize, and how to sing in a choir. We will use part songs, rounds, partner songs and favourites of group members to help people with these experiences. For those who are interested in breaking through the fear of being heard we can work on those elements too. The actual nature of the group will be developed for the individuals who attend, what their level of expertise is, what their needs are, and what they hope to achieve. To make the time as productive as possible and to help me choose the most appropriate materials, I will be interested in communicating with participants before meeting them on the first day to learn about their levels of ability and musical interests. You will receive three sessions each day, totalling 8 sessions over 2 1/2 days. This is a productive schedule, making it possible to help participants experience growth, change and learning in a fun, non-judgmental, inclusive workshop. Nicola began leading choirs in 1993, when she was asked to direct the folk choir at St. Paul’s United Church in Perth Ontario. She directed several versions of this group until 2012, as it evolved to what became ‘Oddities’, so named by the choir for its unconventional choral style, diverse repertoire, and humorous twist on her name! She co-led the Choir at the Blue Skies Music Festival in Clarendon Ontario for four summers, has assisted in direction of choral groups at Community in Song weekends coordinated by Andy Rush of Kingston Ontario, has led choirs in schools, in the community, at conferences, at the Blues Skies Arts Camp for children and for the Perth Community Choir. 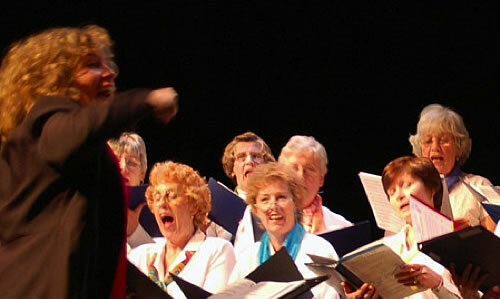 She led the Tay Valley Community Choir during its inaugural five years and served as interim director for “Open Voices” which is a 120-voice choir in Kingston Ontario. 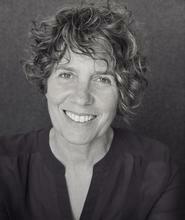 Nicola has a Bachelor of Music, is a Music Therapist and Registered Psychotherapist.